Two weeks back, during a visit, my friend's given me a bag of Cabomba to be grown in the Aquaponics system. We are not sure if it is suitable for Aquaponics but it is a good practice for an aquaculture. 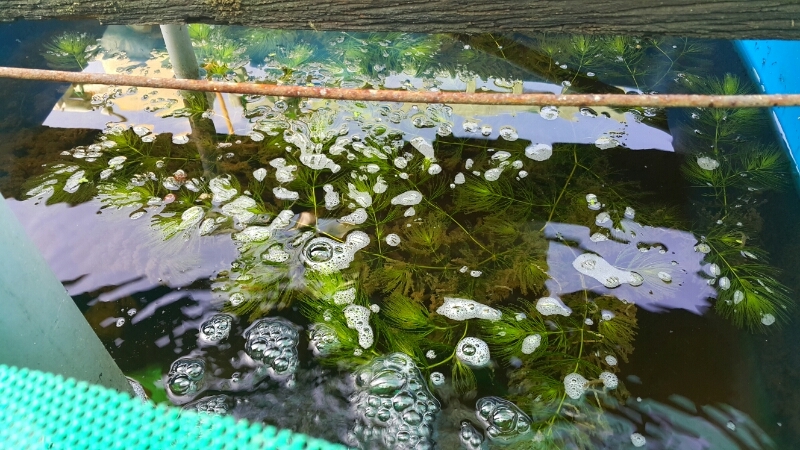 Found that, it is really hard to conclude as we don't perform periodic water quality check... How about under a high stocking density Aquaponics? The nitrate level? Etc etc..?